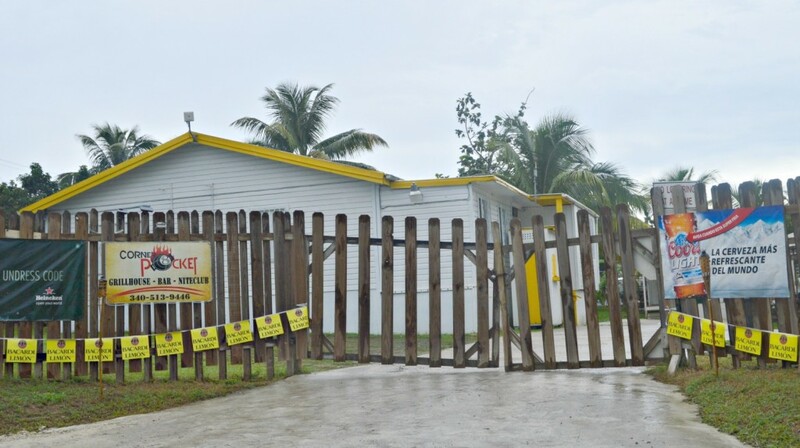 MID-ISLAND ST. CROIX — Four people were wounded when a gunman opened fire in a Kingshill nightclub — the site of two previous such shootings in the last 15 months. On Sunday November 11, 2016, at approximately 3:51 a.m., police from the Marshall Command Station were dispatched to the Corner Pocket Nightclub in Kingshill, where they found four people who had been shot by a gun. Upon Officers arrival; preliminary investigation revealed that several shots were discharged from the club entrance door, where four individuals inside the club were injured from gunshot wounds. Two of those injured are men and two are women, according to the Virgin Islands Police Department (VIPD).. The individuals were transported to the Juan F. Luis Hospital, two ambulance by and two by private vehicle. All four victims were treated at the Hospital for non-fatal injuries sustained by the gunshot wounds. The Criminal Investigation Bureau is actively moving on this incident and requesting your assistance in this case or any other crime in the territory as the VIPD continues to make more arrest, curbing crime. Call the Criminal Investigation bureau on St Croix (340) 778-2211,the Homicide Task Force on St. Thomas (340) 774-2211, Crime Stoppers 1-800-222-TIPS or 911.